DMOptics is a supplier of test equipment and accessories for the Photonics/Optical fibre and Electronics markets. We supply optical spectrum analyzers, lasers and optical power meters to production & research companies, as well as OTDRs and fusion splicers to the fibre installation market. We also have a range of electronic test equipment including oscilloscopes and signal generators. 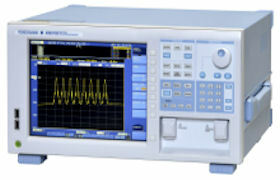 Our range of Yokogawa optical spectrum analyzers are regarded as amongst the best in the world. The Latest Yokogawa benchtop optical spectrum analyser is the AQ6370D, the successor to the company’s best-selling AQ6370C, incorporates a number of new functions designed to enhance its accuracy and analysis capabilities in the 600-1700 nm wavelength range. Newly added functions include data logging, gate sampling, resolution calibration, an advanced marker function and an enhanced auto-sweep mode. Also representing Alnair Labs whos products include picosecond optical sampling osilloscopes, bandwidth-variable and wavelength-tunable optical bandpass filters, fast chromatic dispersion measurement system, polarization-maintaining picosecond and femtosecond fiber lasers, high sensitivity alignment-free autocorrelators, short-pulse optical amplifiers, tunable dispersion compensators, tunable FBG filters, laser range-finder and industrial 3D profile measurement system. DM Optics also has a very strong portfolio of products for the fibre installation and manintenance market. 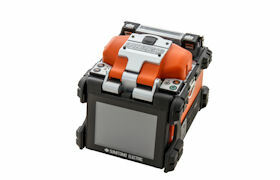 We are able to offer world class fusion splicers from Sumitomo Electric, OTDRs from Yokogawa and handheld power meters and light sources from Kingfisher. DM Optics has now moved into larger premises. 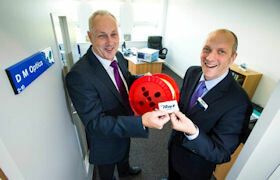 We are now located in the enterprise hub at The Hive, Weston-super-Mare.